I suppose I should have thought to post this myself after listening to Karuna’s original post this morning, but I’m choosing to share her post instead. Such a great message for today and always, and I simply love this version and the message they share. When Helen from Song Lyric Sunday read my post Imagine today, she told me of another group that sang the song. I just listed to their version. I was so touched by their rendition and the message that went with it that I decided to share it. I hope you enjoy it as much as I did. 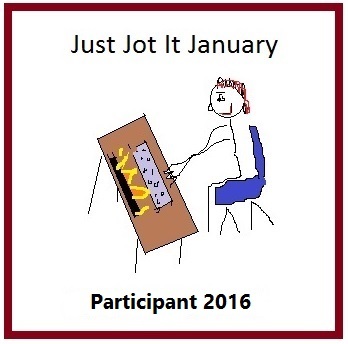 When I first decided on the theme for this week, I really didn’t have a song chosen. I didn’t at first realize how difficult it would be to find a song to fit the theme, especially the way I was thinking of it. There’s many breakup songs that could fit the theme, but that’s not necessarily where I wanted to go. Sometimes, the best thing to do is to scan every song in my iTunes library until I happen upon one that works. It usually doesn’t work, but yesterday it did. I’ve said before that John Mayer is one of my favorites. His lyrics and talent blow me away. There’s an 18 minute video on his Vevo that talks about how this was written and recorded in one day. I wanted to focus on the song itself, so I used a different video, but if you have time and want to look it up, I think it’s pretty amazing. I know when he’s singing about his heart in the song, he’s not necessarily singing about it the way it had meaning for me this week, but this song really hit home for me, what with my fiance’s surgery. I know he wouldn’t appreciate too much information here, but this has been something he’s been dreading for much of his life, and I’m so happy he’s finally on the other side of things and healing more and more every day. I think life has a way of making things happen exactly when they were meant to. While it wasn’t ideal, I think it happened at the time in his life when I was here and could help him get through it. I also believe it will allow us to spend many more years together. So, once again, I’m dedicating this song to you, my love. You’re in repair, but getting there every day. The Song Lyric Sunday theme for this week was to post a song about healing. Please feel free to click the link, read the rules and post one of your own. Hello everyone! I really missed you all in my absence, but I want to throw a huge shout out to my sister for taking over for a few weeks, even though it was more daunting than she at first realized. Thanks again, Sis! I can’t say that everything is back to normal in my household, but at least my fiance’s surgery went well and he is finally out of the hospital. Now, the healing can really begin. The last time I posted, I didn’t know what my future would look like and I was really scared, but I’m happy to report that he is doing well and with the surgery, we are prolonging his life, hopefully by many, many years. So, in the spirit of everything I’ve been through in the last few weeks, I thought I’d take my experience and throw that into the theme for this week. I just hope it isn’t too difficult to find songs to fit, but you guys rock it each week, so I’m thinking you won’t have any problems with it. Our theme for Song Lyric Sunday is to post a song about healing. Today I am going to go watch a movie in the theater for the first time in three years. I am nervous, worried and scared because I hate being a burden and I know that I will be at the end of this movie. I have been told by those going with me that they are okay helping me, but…I still feel all these emotions. There are so many movies I have wanted to see, but Beauty and the Beast has to be one of my all time favorite Disney movies, and I have been waiting, very impatiently, for it to be released. I could wait for it to release on DVD or streaming, but I really think I could make it through this one. 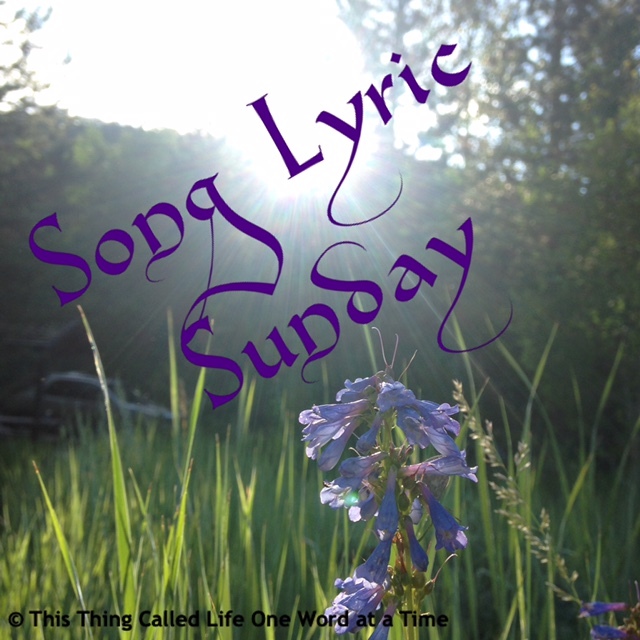 The Song Lyric Sunday theme for this week was to post a favorite cover song. Please feel free to click the link, read the rules and post one of your own. When I was with Helen this week and we were discussing her blog she mentioned to me that she hoped that I would want to start my own blog after doing this for her, and I very quickly said, “No.” I really had no idea had much work was involved in blogging, and it requires a bit more energy than I am willing to expend at this time in my life. So to all those who blog, I am in awe of you and have gained a new level of respect for the amount of work that goes into this. Now getting down to business. I was discussing with my family what the theme should be for this week, and everyone was throwing out ideas. My daughter thought for a minute and started talking about her favorite cover songs, and so our theme for Song Lyric Sunday is to post your favorite cover song. Time is such an interesting concept. When we are younger we don’t think to much about it, because it seems to go by so slowly. I really didn’t think to much about time until I turned 40. That year I had my own health crisis and I remember thinking that all I wanted was to spend more time with my family irregardless of what that meant for me physically. Ironically my husband was thinking the same thing and last week he started thinking of that again, in the sense that he hoped there would be more time for two amazing people in our lives. This song was what he was thinking of three years ago, and the other night, so I felt it was fitting to share it here. I wish I could save time in a bottle and I would give it to the Helen and her fiance so that they could “make the days last forever” and then spend them together. The Song Lyric Sunday theme for this week was to post a song about time. Please feel free to click the link, read the rules and post one of your own. I was hoping the next time I was asked to do this it would be because Helen was on her honeymoon, but life has intervened yet again and here we are. For those that don’t know, I am Helen’s sister, Lorrie (dlrands), and I know how important this is to her and I am happy that I have found a way that I can help my sister in her time of need. As my husband and I were driving home from the hospital the other night I asked him what he was thinking about and he said he was thinking about time. When I read Helen’s post today I knew what the theme was going to be, and was happy that she had a hand in picking it. So, our theme for Song Lyric Sunday is to post a song about time.